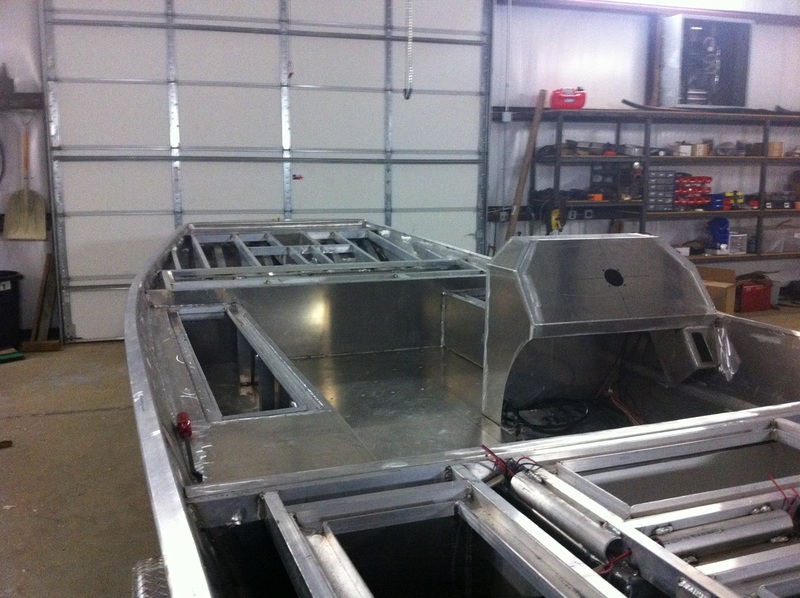 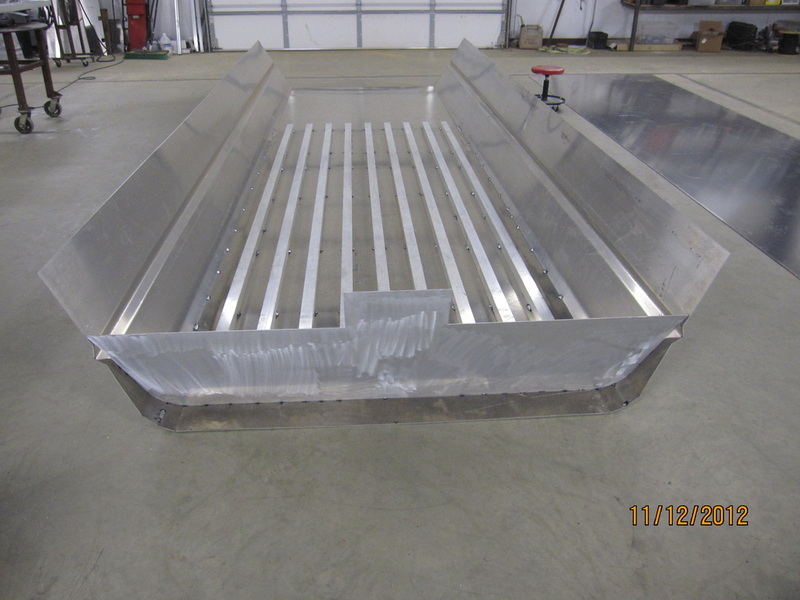 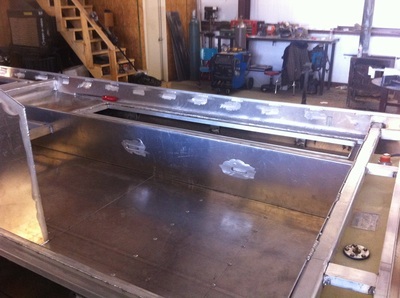 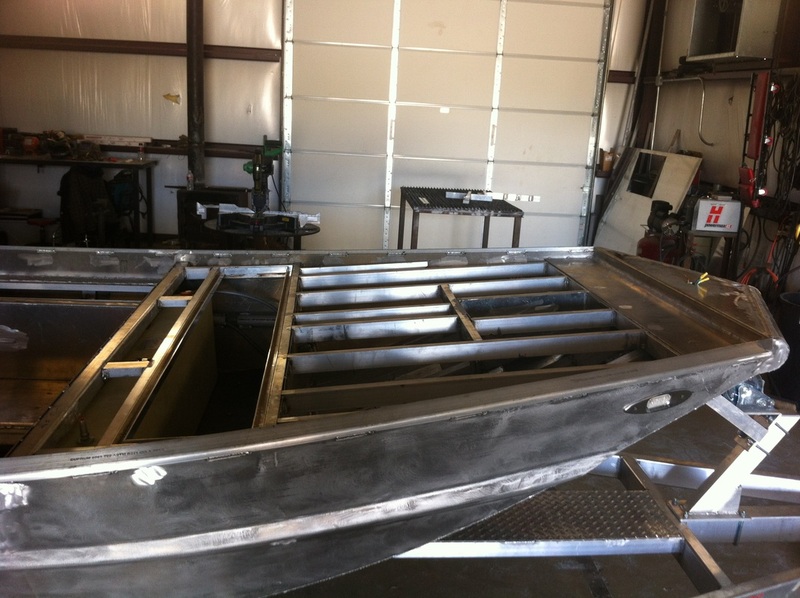 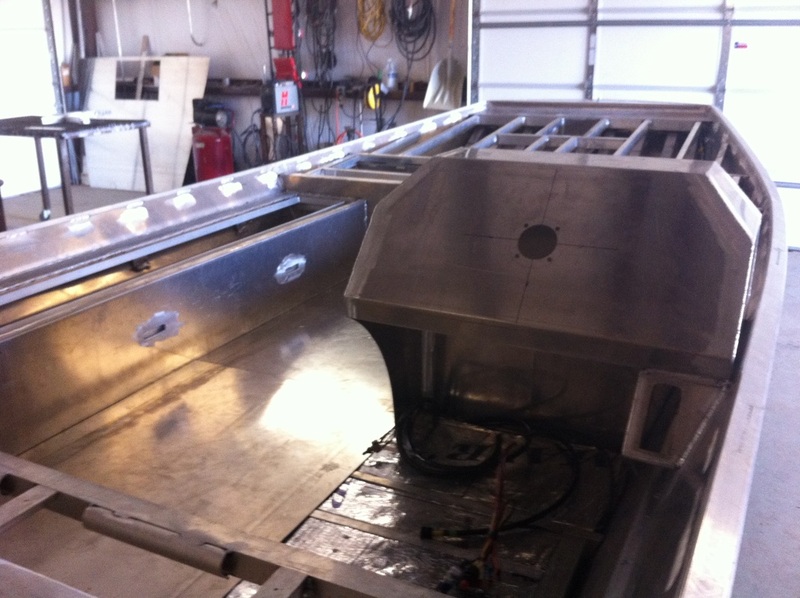 This was boat was built for Allen Findley in Flint, TX, right down the street from the WC Custom Boats Shop. 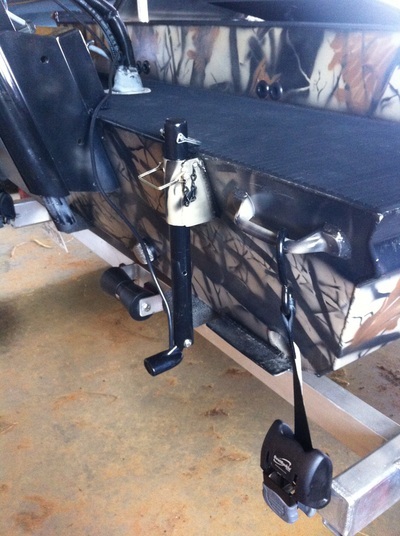 Allen is a big time bass fisherman and wanted something he could primarily bass fish out of in the stumpy areas of lake palestine and not have to worry about punching a hole in his fiberglass boat. 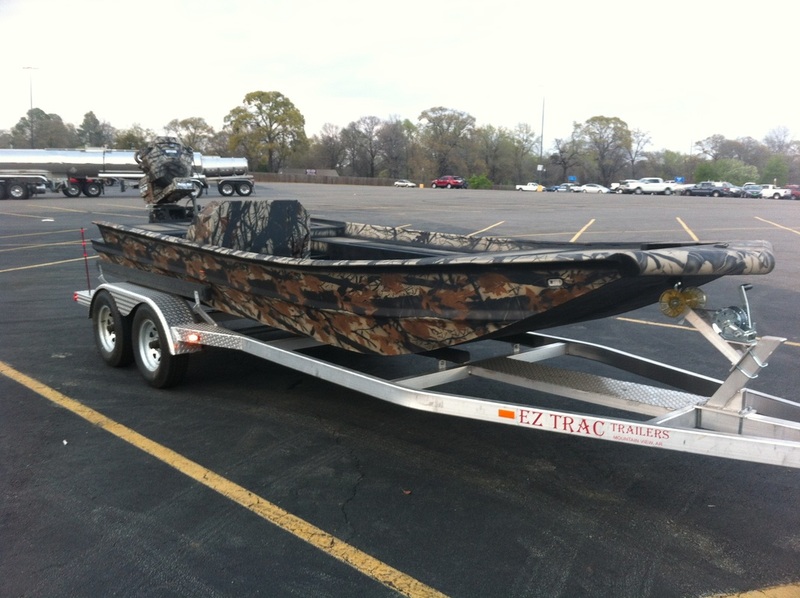 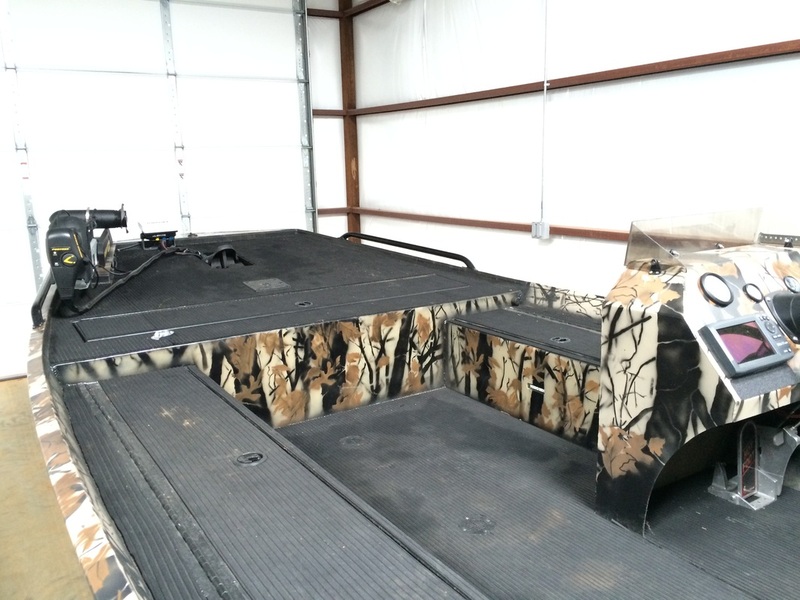 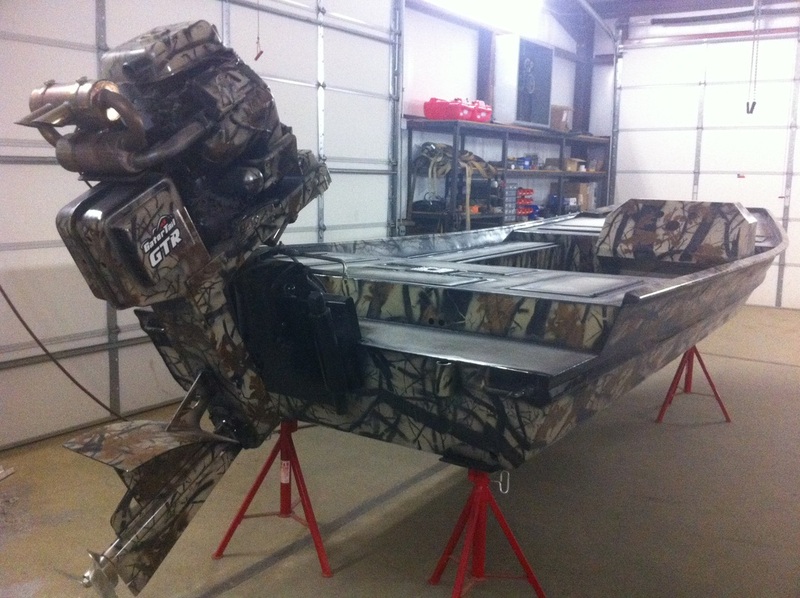 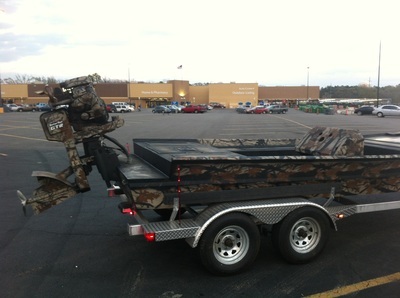 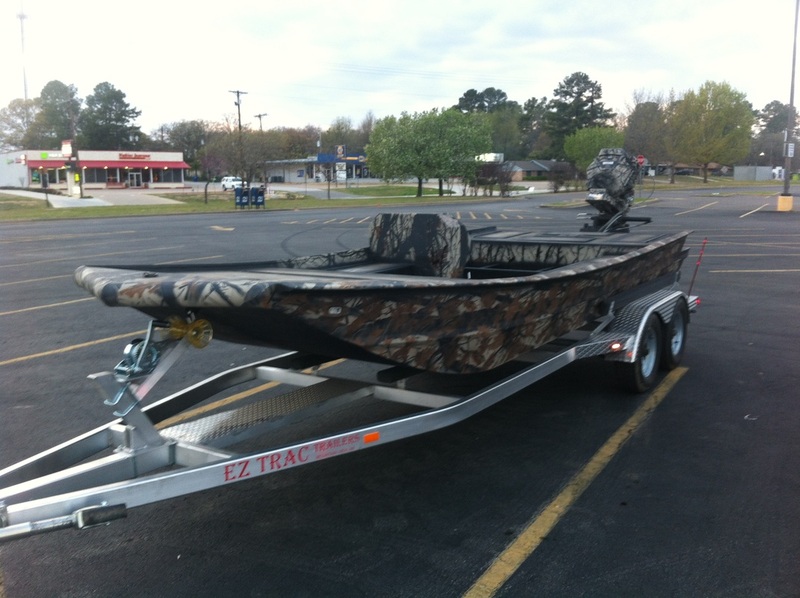 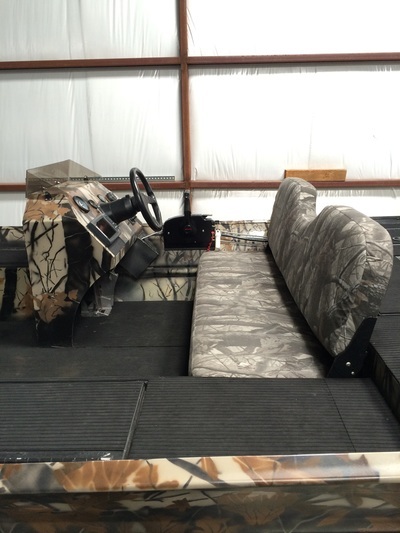 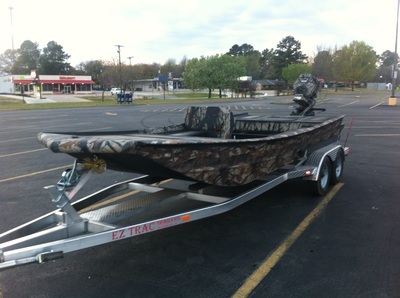 He also wanted a boat that could still be a good duck hunting boat if he decided to do that. 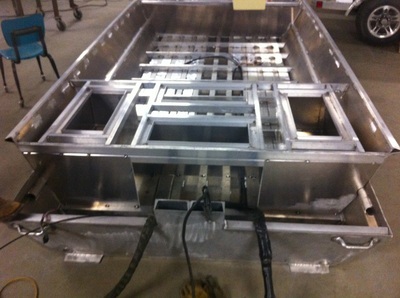 This boat is actually based off of a Triton/Crestliner Ambush Series boat but with lots of changes and extras! 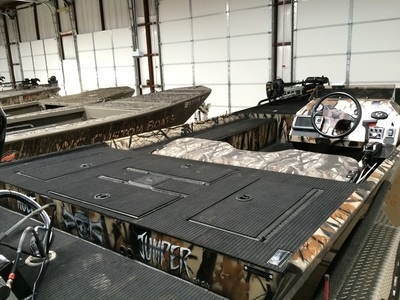 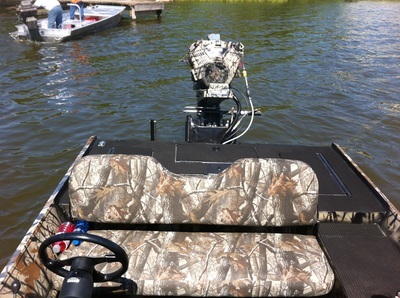 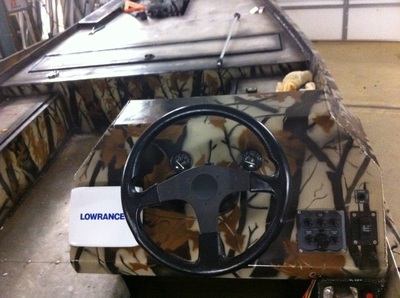 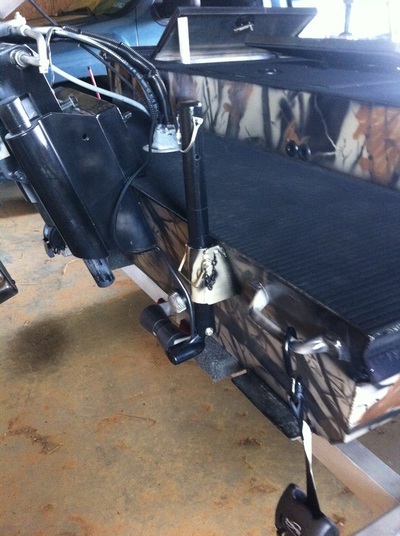 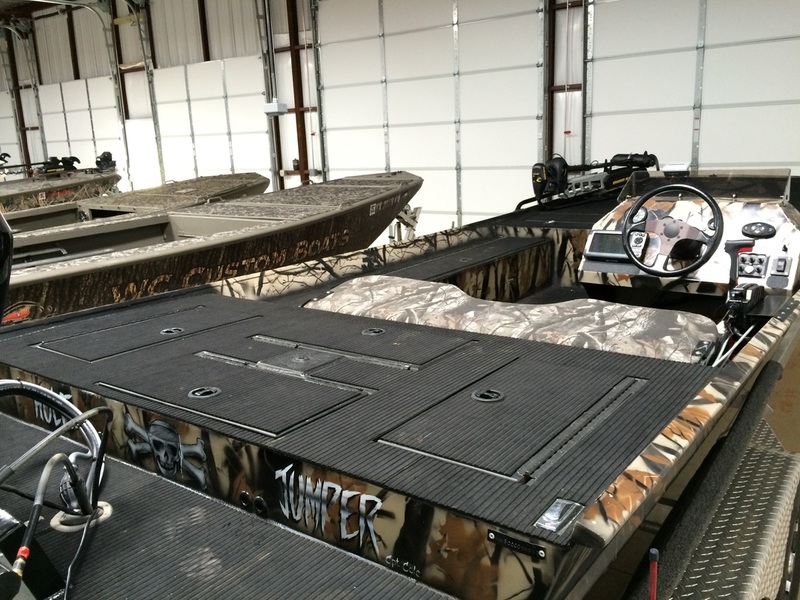 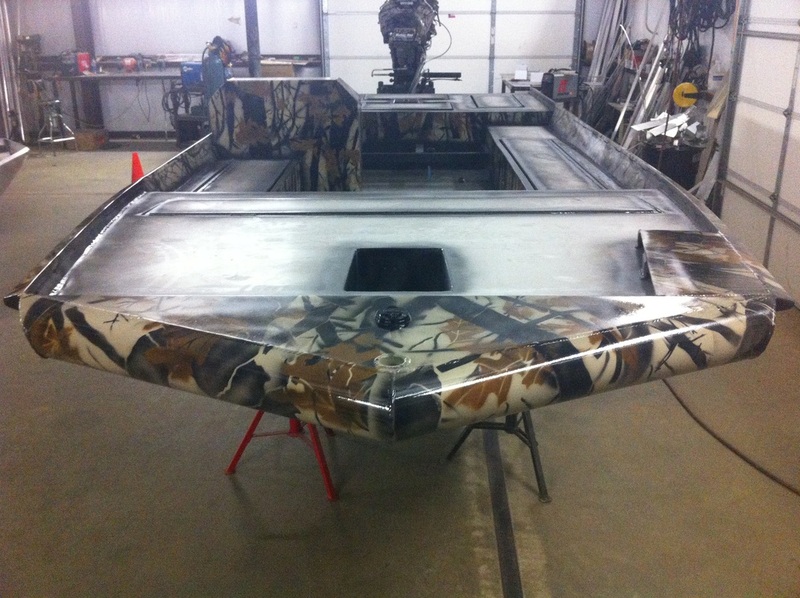 We first had a Stage 2 Modded 35hp Gator-Tail on this boat for running in the stumpy areas. 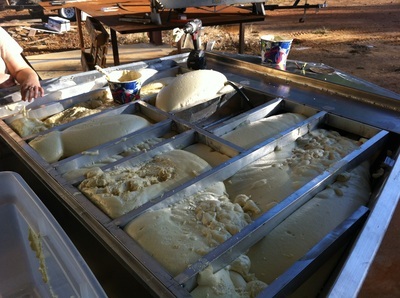 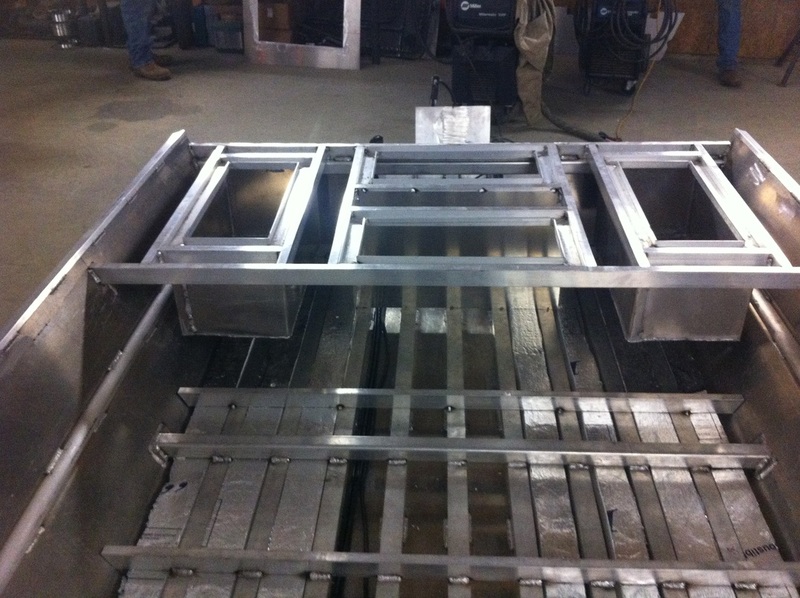 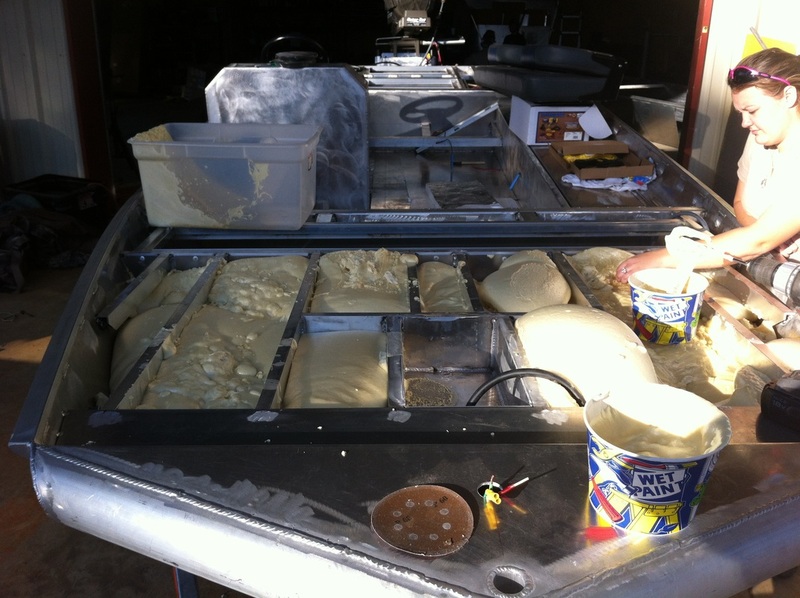 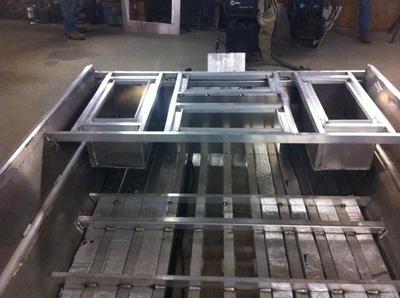 With 3 people (200, 200, 140) 20 gallons of fuel, 3 batteries, light fishing gear this boat would run 24 - 25 mph. 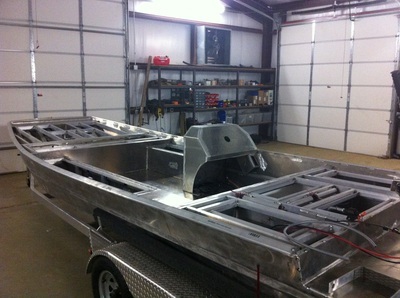 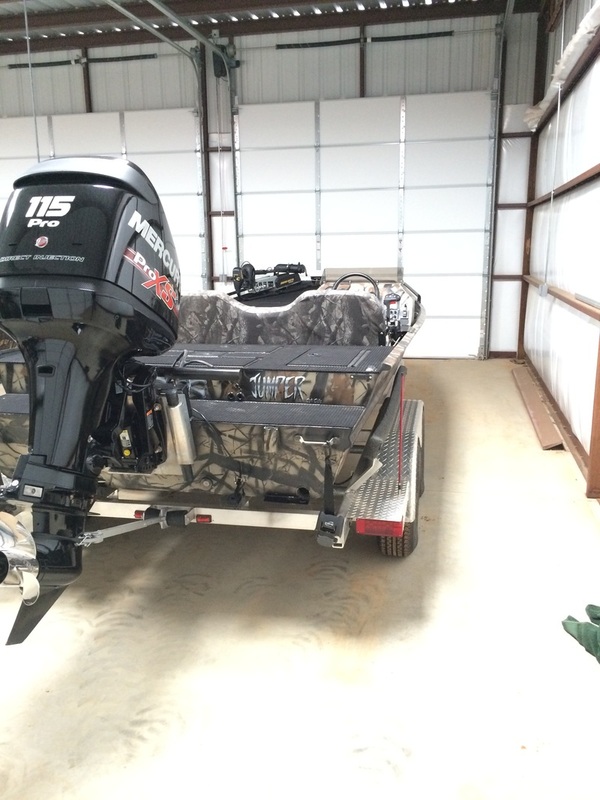 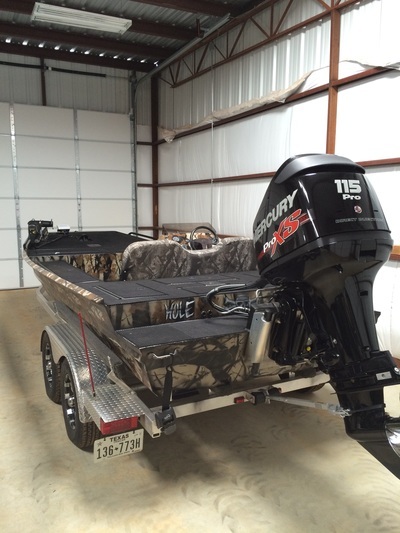 Allen couldn't get used to going that slow so he ended up putting a 115 2 ProSX Mercury 2 stroke Outboard on the back. With a full 4 man fishing load and 20 gallons of gas and 3 batteries this boat still runs right at 50mph.